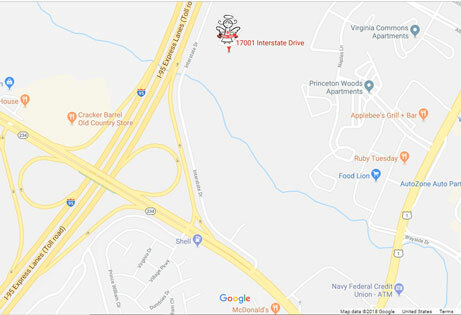 For Prince William families already registered for Angel Tree, please pick up your gifts at the Prince William Angel Tree warehouse located at 17001 Interstate Drive, Dumfries, VA 22026. The Angel Tree warehouse located just minutes from I-95 (see map.) Upon entering the development, the Angel Tree warehouse is the first you will see in the far left corner. Please watch for signage. Appointments for pick up start on Monday and Tuesday, December 17 and 18, 2018. Pick up is by appointment only. Please refer to the paperwork that was given to you at registration for your appointment date and time. To pick up your gifts, please bring your photo ID and appointment paperwork with you. If you do not know when your appointment time is, please call (703) 580-8991.